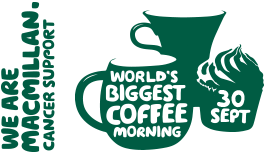 Just an update to everyone who attended/contributed to the Macmillan Coffee afternoon. It was a great success and the school, with massive help from parents, raised over £100. I would like to thank all the Year 6 pupils who were on hand to serve everyone.